Understand how much time people spend on particular projects. Plan better and keep budgets under control. Start determining available capacity. See how much time each team member can dedicate to a project every week and plan accordingly. In the eWay-CRM ribbon, click Users and switch the view to Work Commitments. You will see a list of eWay-CRM users and calendar weeks in columns. Click into a cell and assign how many hours each employee spends at work. Use copy-paste to distribute the values fast. We already know it from the previous tutorial. Just to repeat it. 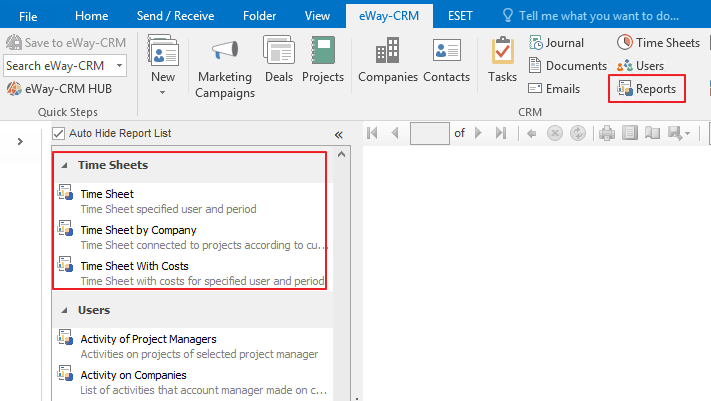 In the eWay-CRM ribbon, click Projects and switch the view to Resource Plan. You will see a list of your projects along with the team members assigned to each job. You will also find a list of calendar weeks in the following columns. Click into each cell and type down how many hours you’d like to allocate the specific team member on a particular project in the selected week. If you overload an employee, the value will change to red. You can copy-paste the values to speed up the process. Check people’s workload to find out who is overloaded and who has time for a new project. 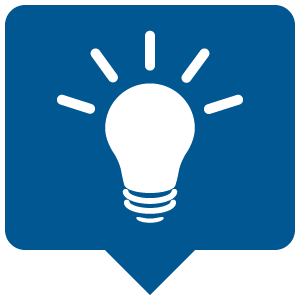 In the eWay-CRM ribbon, click Users and switch the view to Available Resources. You will get a list of eWay-CRM users and calendar weeks in columns. Each cell will contain the number of hours that the team member is available. The more available she/he is, darker the green background is. Use this view to plan your projects and people wisely. Monthly timesheet reports clarify the amount of work that has been done. They can also be used to back up your billing. Find out which tasks you and your employees spend the most time on. In the eWay-CRM ribbon, click Reports. Find the reports from the section Time Sheets. Go through the individual reports to create your statistics. Have a look at Time Sheet by Company. There, you will find how many hours you had spent working for the particular client last month. Send him an invoice. You can export any reports to PDF, Excel or Word. Tip for you: Find out more about reports here.